For salespeople and sales management alike, opportunity tracking is of paramount importance. Opportunities are deals, and closed deals equal sales target achievement and revenue. Tracking deals therefore means everything. 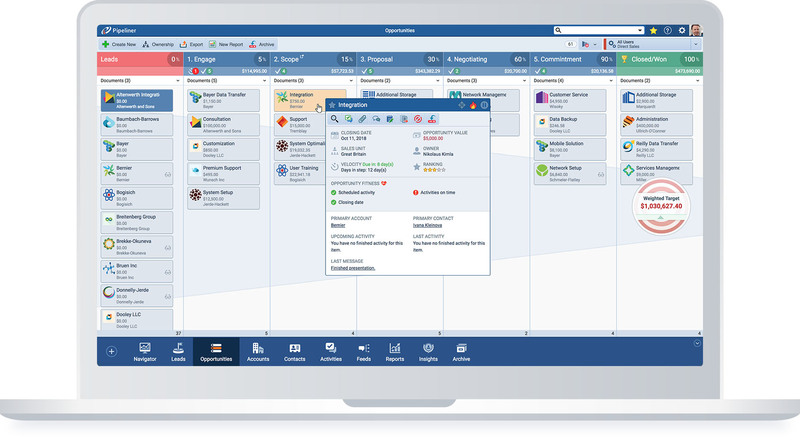 The primary method of opportunity tracking utilized within Pipeliner CRM is through its Pipeline View. Every opportunity within a pipeline can be readily seen, in the sales stage in which it currently resides. Mousing over the opportunity gives you a quick view, and double-clicking it reveals its details. Many companies today require multiple pipelines for different types of sales, different products, or even different customer types. 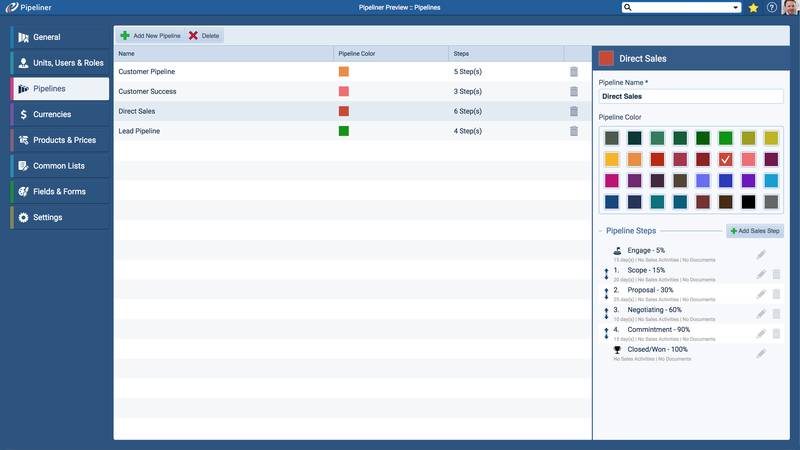 Pipeliner allows you to create as many different pipelines as you need, each customizable to your requirements. Moving an opportunity through a single sales stage requires various tasks and activities such as calls, appointments, emails, sending of materials, meetings or others. If required, these tasks and activities can be made mandatory so that an opportunity can only be moved to the next stage if they have been completed by the sales rep.
Activities can be graphically tracked—much as opportunities—so progress can be instantly seen. Considerable time can be saved with tasks automatically created as you move an opportunity into the next sales pipeline stage. When an opportunity is moved to a new stage, a pre-defined list of tasks is suggested to the user. The user can accept, edit or reject the tasks. The Pipeliner CRM Fitness feature, which is totally unique to Pipeliner, immediately shows the fitness level of an opportunity and provides another great indicator as to if and when it is likely to close. (Just like in real life, where a person’s fitness level is an indicator of their ability or the time it will take to perform a physical task). The fitness indicators are color-coded so you can immediately see the status. 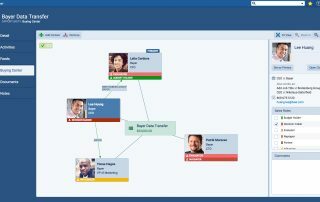 The Fitness feature can be viewed throughout Pipeliner CRM. It is part of Opportunity Detail, the Pipeline and Bubble Chart views as well as many other places. Fitness is also part of Pipeliner’s filter functionality, allowing you to filter deals to see the current fitness level. 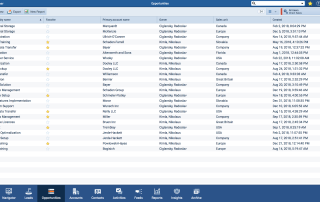 The first screen that you see upon opening Pipeliner CRM, the Navigator feature is your first and most instant look into opportunity tracking. 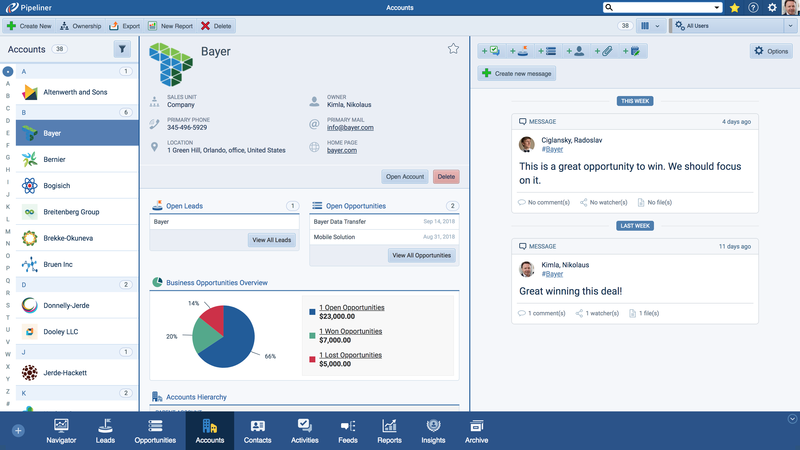 Navigator instantly provides insight into your opportunities, tasks and activities, and when they are due. You are even alerted to any that are overdue. You also are advised of other areas to be addressed such as new leads, stuck opportunities, inactive leads, inactive accounts, cold accounts and more. You are also provided different overviews of your target progress: Business Overview, which displays open opportunities, open sum, won sum and lost sum, and Target Overview, which shows you in detail your up-to-the-minute progress in relation to a sales target. 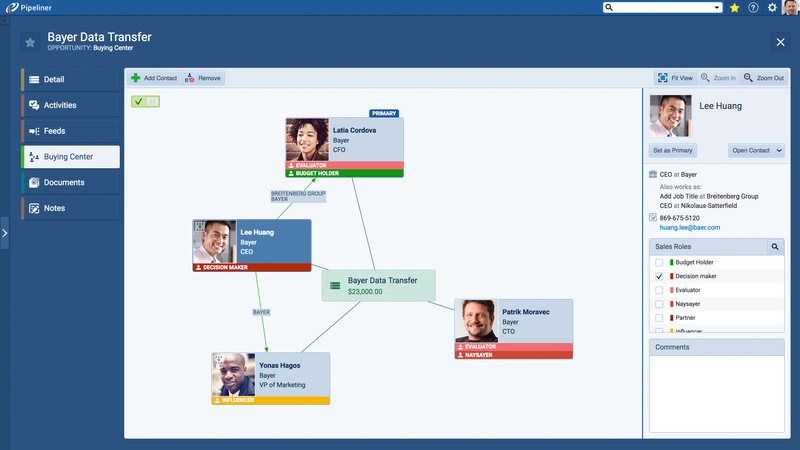 Pipeliner CRM’s 3D Timeline gives you yet another view of your opportunities, graphically providing the most relevant aspects of every deal. 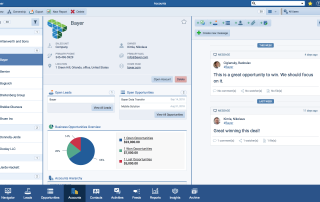 Instantly see the opportunity value, due date and Sales Velocity of every opportunity in your Sales Pipeline. The Compact View has now been expanded to be applied to opportunities as well. 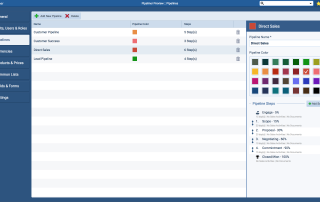 With Pipeliner’s Collection release, we have made our List View feature available for opportunities. 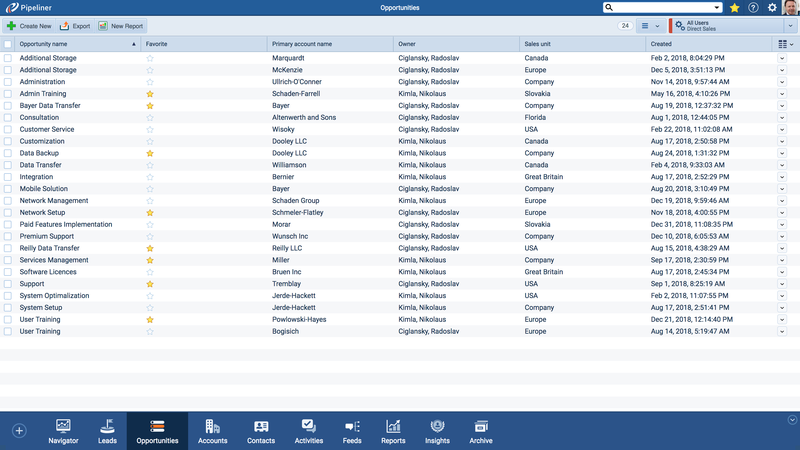 You can see your opportunities in a column/row format, customizable for your particular needs.